This vintage book contains Henry James O'Brien Bedford-Jones's 1928 novel, "e;D'Artagnan"e;. 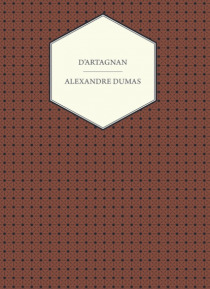 Although not written by Alexandre Dumas, D'Artagnan is a sequel to the his famous novel "e;The Three Musketeers"e; and continues the rollicking romantic romp through pre-revolutionary France by following the further pursuits of the famous musketeer D'Artagnan. Alexandre Dumas's most famous … literary creation, d'Artagnan is loosely based on the life of Charles de Batz-Castelmore d'Artagnan and his adventures with the musketeer guards. Henry James O'Brien Bedford-Jones (1887-1949) was a prolific Canadian writer who published historical, science fiction, crime, and Western fiction. Many of the earliest books, particularly those dating back to the 1900s and before, are now extremely scarce and increasingly expensive. We are republishing this antiquarian book in an affordable, modern, high-quality edition.